These days uncovering a dividend gem is increasingly difficult with most dividend stocks already trading at the upper echelon of valuation. A few days ago I wrote about lesser known dividend aristocrats and in that same vane I’m trying to introduce another dividend stock that you may not have heard of. As a dividend growth investor we are always on the lookout for that next great potential dividend ride. So sit back, relax while I hail a taxi for you. Well not just any taxi, I’m talking about Medallion Financial Corp. (MFIN). Medallion Financial Corp. operates as a finance company for originating, acquiring, and servicing loans that finance taxicab medallions. It also offers commercial loans to finance the purchase of equipment and various asset-based loans, that includes fine art lending, to small businesses and other secured loans in various industries including manufacturing. Basically, TAXI is a credit services business making loans. 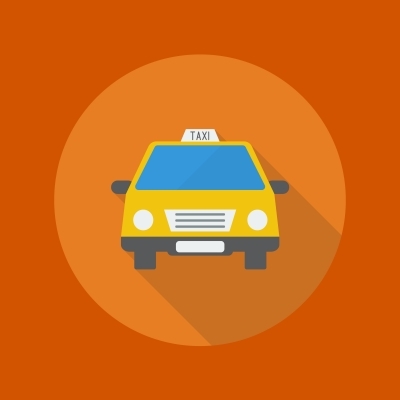 What makes TAXI unique is that it is one of the few financial lenders that exist to finance taxicab medallions. Now what exactly is a taxicab medallion? A taxicab medallion is basically a metal badge that is bolted on to the hood of officially licensed taxicabs in New York City for example. TAXI also finance medallions for Boston, Chicago, Newark, Philadelphia and Baltimore. They don’t come cheap either. Because of their high prices, often over $700,000 to $1,000,000, medallions are usually owned by investment companies and are leased to drivers. In fact the N.Y. Times did a piece on the price of taxicab medallions not too long ago titled, “$1 Million Medallions Stifling the Dreams of Cabdrivers.” Of course, this is where TAXI comes in as a financier for corporations or individuals seeking their own taxicab medallion. As a dividend stock TAXI definitely delivers. It has a very high yield of 7.2% which I know will gather the attention of many dividend investors. It has been paying a dividend every year since 1997 and has been growing it the last few years. One thing to note is that it’s a small cap stock with a current value of $333MM and a beta of 1.18. For me, this stock might be a little to small and too volatile for my portfolio but you can’t deny that juicy yield and stable earnings based on their relatively conservative lending practices as all loans are secured by some asset including the medallions that are being financed. One thing to consider though is the very high payout ratio for its dividend which stands at 99%. Based on that figure I’m not sure how many more dividend increases lay ahead for TAXI. Still, even at current levels it does offer an attractive yield. Looking at TAXI’s valuation it is quite low relative to the S&P and its peers at only 11.9. Does this make it a buy at current levels? Perhaps. One thing is for sure it is definitely worth considering. Does TAXI belong in your portfolio? Let me know. Nifty niche stock. Yah payout ratio is very high. Their net income is increasing rapidly tho. But who knows the volatility in that niche market. Could take just one new york new city regulation to crush it. A few years ago I looked into breifly at acquiring some taxi plate licenses in Vancouver before the Olympics but the regulations were quite strict which swayed me away. Most Taxi drivers will never own their own plate and essentially they are tightly regulated commodities by the local governments. As long as these types of regulations survive their will always be a demand. Whats concerning is the new apps around that can make anyone an illegal taxi driver. If they were to gather steam I couldnt see how it would have a negative affect on the regulated industry. Thanks for sharing. Good Day and Grind ON! Thanks for the comment. TAXI I’m sure is already feeling the pinch from the start up world as Uber, Lyft, Sidecar and the like are turning average Joe’s into personal “taxi” services. This, of course, remains to be seen as the app world encroaches upon the real world of taxicab fares. I do know that these taxi app start ups are facing more scrutiny and regulation as they expand into newer cities. In time, they might evolve into more traditional taxi services. I thought it would be fun to feature a really high yield and different dividend stock that I normally wouldn’t invest in. Oh wow, I didn’t know that taxicab medallions could be that expensive! Sounds like a good dividend investment, although I’m not sure it’s something that I’d add to my portfolio… But the other commenter mentioned about the volatility in the market, especially in the long run, and I’m quite worried about that. I think I’d prefer lower dividend yield but less volatile investment. You sound a lot like me. I always favor a good dividend grower rather than a current high yielding stock. Many of the bloggers rally like high yield MLP’s and REITs which can be a part of any portfolio just not a focus. If you look at my portfolio you can see that I have pretty conservative stocks all around from various sectors. Still it’s nice to visit some of the “crazy” high yielding stocks out there as an option. Thanks for commenting. In that market condition, their initial yield is appealing but… I prefer keeping my hard earned money in my brokerage account until better opportunities arise. I hope the “sell in may and go away” effect will happen this year again. It should help us dividend growth investors find some values in the market. I totally agree with you. These days it’s tough to find a quality investment without a crazy high PE. I also agree with you about investing in high quality dividend growers that may not have high current yield but grow their dividends at paces that exceed the inflation rate. All you need to do is look a my portfolio to see that I’m not invested in any ultra-high yielding stocks. The point of this article was simply to highlight a hihg yielding stock that, at its core, is a simply a lender. Thanks for stopping by and commenting! Very interesting pick. But the dividend increases have been lagging and sometimes even cut going back to 1999. Payout is also quite extreme. Not sure I would invest into something as aggressive as that. I wanted to highlight a very aggressive high yield dividend stock. Every now and then it’s nice to bring up some stocks that rarely get discussed. As you can see from my portfolio, TAXI is something I wouldn’t invest in. At least for the long term. I have been reading so may dividend blogs that do own many 5% – 7% yielding stocks from the MLP and REIT world I thought it would be nice to highlight something else. I appreciate your comment! This looks good to me for the next six months or so at least, with a pa yield of 6% or so. Nice find! True this stock has a nice yield and is in an interesting business selling and leasing taxi medallions but you must look at the whole picture of TAXI before considering investing. In general, I do not invest in any small cap stocks because of their tendency to be more volatile. Thanks for stopping by and commenting. TAXI now changed their ticker name to MFIN, just for reference. Thank you for the update. I wrote that post two years ago. I have made the change.